When you play paintball at Delta Force Paintball, it’s not just a game of paintball; it’s an immersive experience where you take on the persona of your favourite action hero. With 36 UK paintball locations, you are bound to experience non-stop action when you book a day out at Delta Force Paintball. Our themed game zones have been designed by a team of experts who are dedicated to maximising player enjoyment. 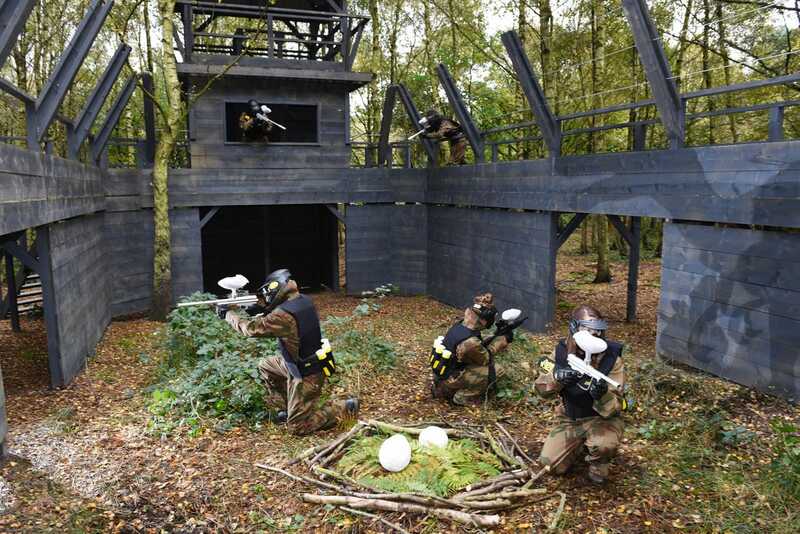 No expense is spared when creating our paintball game zones, with props such as two-story crypts, WWII bunkers, London buses and even a raptor enclosure to amp up the action during a full day paintballing experience. Armed with the latest paintball semi-automatic paintball gun and decked out in the finest combat gear, your survival skills will be put to the test. Hunt or be hunted – there’s only one way to survive out on the battlefield. Our iconic game zones draw people to play time and time again. In Zombies’ Crypt you’ll have to manoeuvre past tombstones and evil forces in your attempt to retrieve the holy book situated in the high altar and restore peace to the land. In Counter Strike, the WWII bunkers require your team to coordinate an ambush in your mission to seize control and stop the advancing troops. 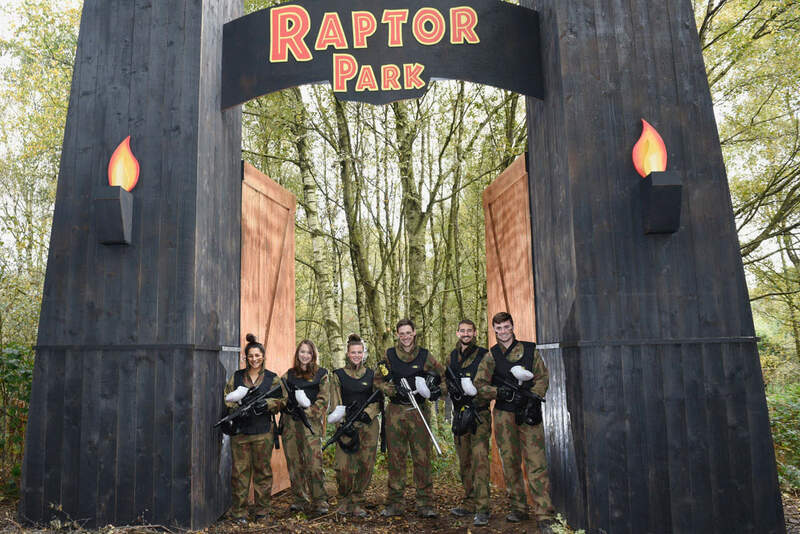 Raptor Park is a brand new game zone that was developed last year at the Liverpool Paintball Centre and features a replica dinosaur enclosure with sniper towers and surrounded by 4×4 safari jeeps. Your team of explorers are required to extract the dinosaur eggs before they hatch to protect civilisation. Another movie-set themed game zone is Space Warz which features a replica Imperial Shuttle and imposing Scout Walkers. It’s up to you and your comrades to fight the cause for the Rebel Army and defeat the imperial forces once and for all. For fans of the intergalactic classic, this is the ultimate paintball adventure! Each UK Paintball centre features 6 game zones, with a different selection depending on which centre you choose to attend. 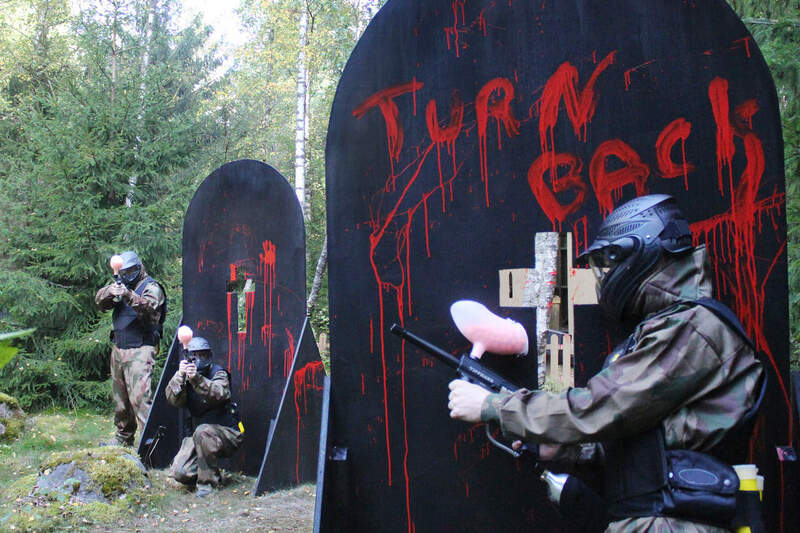 For more details of specific game zones at a particular centre or to book your adventure at a Delta Force Paintball venue near you, please contact an event coordinator on 0203 869 9301.